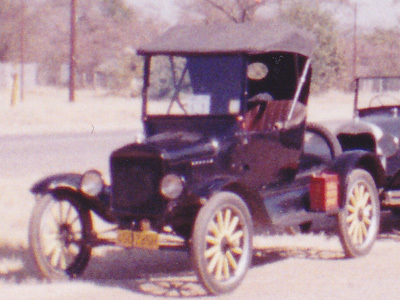 Year Chassis and rear axle owned by Alan W.B. 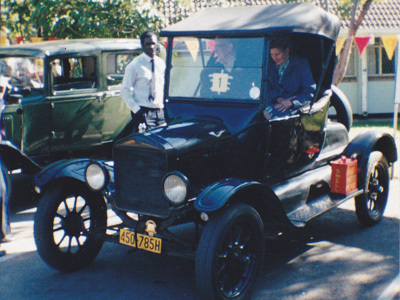 Napier in 1976, article also mentions a restored TT 1 ton in Bulawayo). 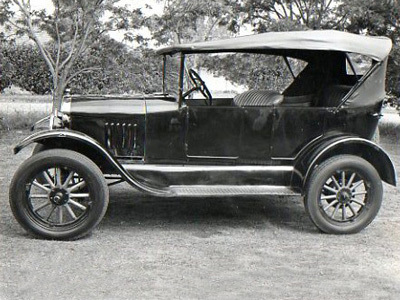 Year 1912 Owned by Alex McKay, photo shows the car at Bill Wood's residence, Salisbury. Most of the parts collected together by Ivan Glasby of Bulawayo, who also had new fenders made up. Mechanically original, the body was made by copying an original car owned by Liefie Bosch in Port Elizabeth, South Africa. 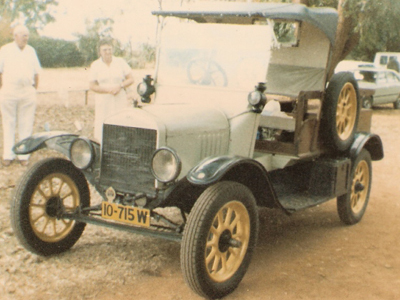 Vehicle rebuilt by Mike Frudd around 1980, completed the 1980 AA Great Zimbabwe run. Still owned by Mike in Harare. Year 1915 Brass radiator. Originally owned by Sam Smith of Gatooma, who used it for delivering mineral water and was in daily use till 1927. 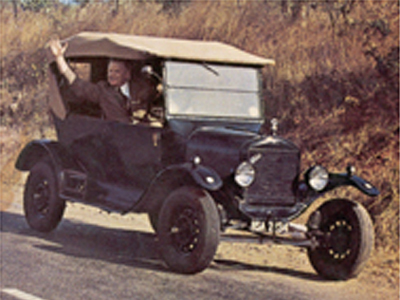 The car was dug out of a gravel pit on Mr. Gadsmarks plot, Mornington, and rebuilt by Ray Holderness. 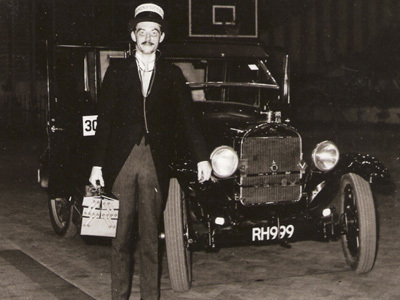 Believed to have gone to the UK, possibly to the Beaulieu Motor Museum. Owned by Dave Schoeman since at least 1963. Photo shows car driven by Dave's son-in-law, with Dave's daughter alongside. Later owned by Dave's son, Thordan. Later sold to Lloyd Clarke then Dawie Erasmus who still owns the car in Harare. Steel artillery wheels which are not correct for this model. 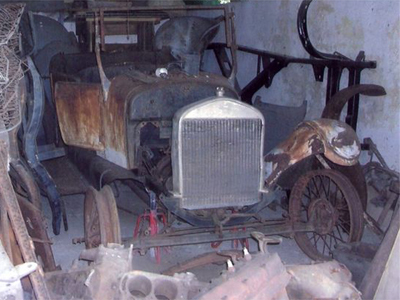 Chassis and engine bought from Francis Newman of Mount Hampden, Salisbury, body taken off a car previously owned by Graham Gentles. Owned by Peter Bartlett in 1965, known as Brumaputra? Rolled at some stage and rebodied with a sort of wooden pickup body. 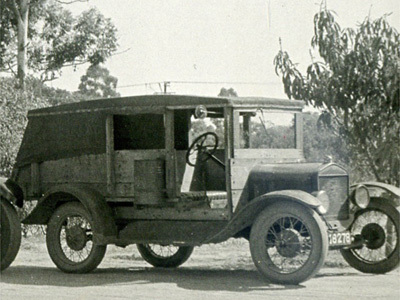 Later sold to Neville Moore of Karoi and later to a farmer in Figtree. still owned by them in 2001. 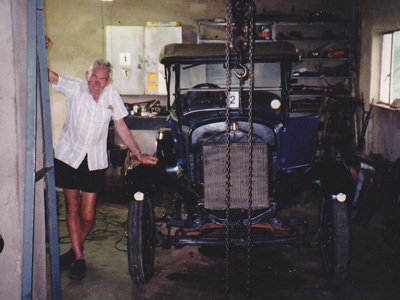 Owned by Guy Acutt who restored the car having found it down a well in Howick, Natal South Africa. Later used, but not owned, by Arthur Claasen of Bulawayo. After Arthur passed away the car passed onto Guy's widow. Is this the same car acquirred by the car club in Bulawayo? see last photo. 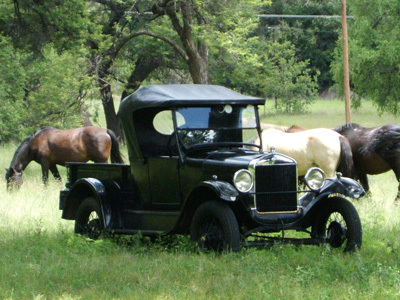 Fitted with 1927 wire wheels. Owned by C.E. Holmes in 1965. 1965 programme, owned by Graeme Gentles. Built up by Graeme from parts acquired from numerous sources. Later acquired by Julius Rudolph, then Alan Napier, Mike O'Leary. Now owned by Howard Butler. when Frank moved to Durban. Car no 1300. Wooden wheels. Owned by E.N.T. Rochester in 1965, later acquired by a Mr. Scott, possibly of Umtali. Wooden wheels. Found in Avondale, Salisbury and acquired by Graham Gentles in 1954. 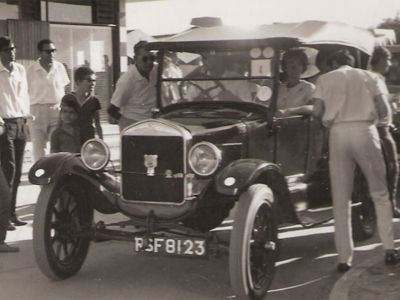 Swapped for a 1929 Chevrolet with Peter Bartlett in 1956, still owned by Peter in 1965.
owned by them in 2001. 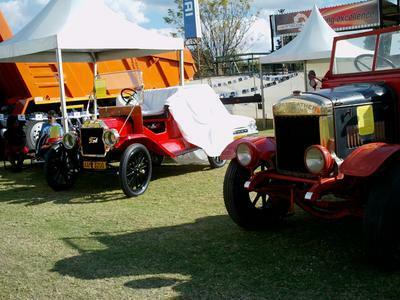 Owned by Peter Blignaut in 1965, passed to his son Glenn, who still owns the car in Harare. Wooden artillery wheels. Owned by Dave Schoeman. Photo taken on a Shell Umtali run. Later sold to Chris Walker, car then taken to the UK by his ex wife. Year 1926 Wooden artillery wheels, ruxtell axle. Body salvaged from Silo pit on C.J. 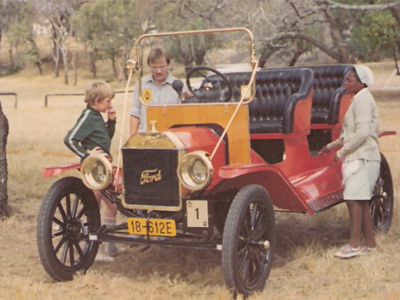 Campbell's farm near Gatooma, rest of the car built up from spares acquired around the country by Ray Holderness, dated in Rhodesia in 1964. Noted with Chris Holderness in 1964. Photo take on a Shell Umtali Run. Believed sold to Bill North of Gwelo where it is believed the car was damaged by fire. Ruxtel axle, Hayes wire wheels. 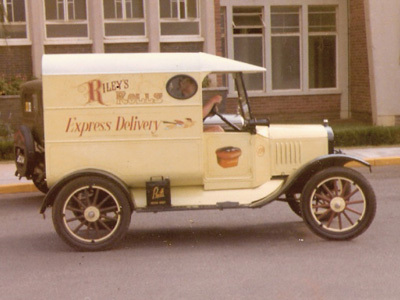 Owned by Alex McKay in 1964, then by a Mr. Van Rooyen, P. Brewer then Roger Link. Photo taken on a Shell Umtali Run. Owned by R.W. Clarke of Salisbury in 1966, later with a Mr. Lombard of Odzi. Believed to have gone to South Africa. Put together from parts acquired from across the country by Dave Edwards of Bulawayo. Body is from 1926 but the running gear is believed to be earlier. Acquired by Maurice Beckley from Bertie Hall. Owned by L.A.G. Cawood of Salisbury in 1969. Later owned by Tony Roe then Alan Napier. Year 1927 Wooden artillery wheels, ruxtell axle. Car acquired by Chris Holderness in 1958 from Ken Southey of Gatooma. 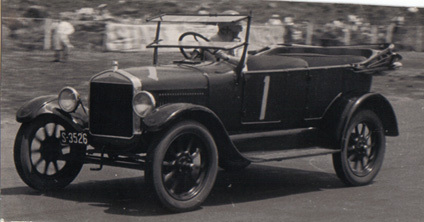 Original owner believed to be Chris James who bought the car new in 1927. Believed to have been sold around 1969 to P. Gilpin of Fort Victoria.Current whereabouts unknown. A number of photographs used on this website are from unknown sources, if you feel an image used may be one of your own please contact the webmaster below.